Noida 22nd March, 2019: As the cricket fever is rising up with 2019 Indian Premiere League (IPL) season 12, beginning from 23rd March, India News, one of India’s leading Hindi news channel curates special programming lineup for the IPL series under the umbrella branding of Jhamajham Cricket, the special cricket show telecasted every day at 6:30 PM. India News will bring to the viewers a descriptive and insightful review of each match from on and off the field during all the IPL matches. 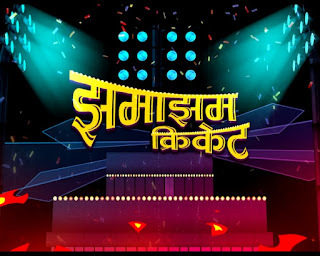 During the half an hour cricket show Jhamajham Cricket will cover different aspects of the IPL series including top news stories of the IPL Matches in a superfast format, the show will be a showcase the graphical representation of bowling and batting figures of key players from both the innings also there will be a special segment to analyze bowler’s performances for each day, the cricket experts will gauge and analyze the players performance during the studio discussion. There will be special guests from the cricket fraternity like Mr. Praveen Kumar, Mr. Anshuman Gaekwad, Mr. Reetinder Sodhi and Mr. Rajkumar Sharma who will give their expert opinions on the team strategies, pre and post-match analysis and team line up during studio discussions. These cricket experts will analyze the player’s performance during these segments and will also analyze the performances of each team to make it to the finals. In addition to the studio shows, there will be special outdoor shows with the live audience which will cover spot interviews and vox-pop with fans from the cricket stadium.